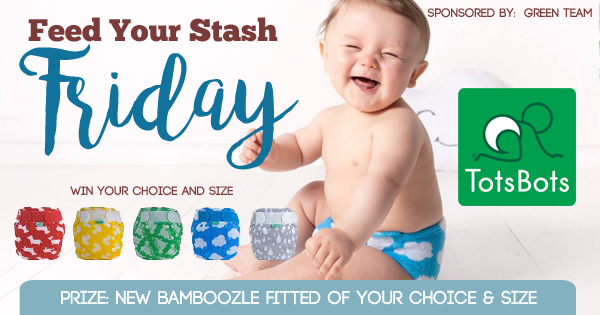 Win a NEW Tots Bots Bamboozle Fitted Cloth Diaper! Tots Bots Bamboozle Fitted Diaper is Packed with features! Tests have shown that rayon from bamboo absorbs moisture 70% more quickly than cotton (on contact), and dries 20% faster. One lucky winner will receive their choice of Plop, Daydream, Roar, Waddle or Scamp in the size of their choice from Green Team Distribution! Enter to win using the Rafflecopter below. This contest is open to the USA & Canada. Winner must be 18 years or older. Winner will be notified by email and will have 7 days to reply and claim their prize.